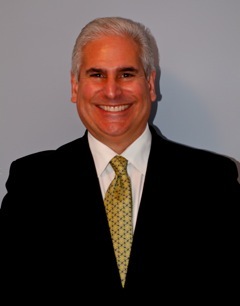 Dr. Anthony T. Festa graduated from the prominent State University of New York at Buffalo, School of Dental Medicine. Upon graduation he was invited to attend an advanced general practice residency at Maimonides Medical Center in Brooklyn, New York. Dr. Festa has extensive training in all aspects of dentistry including: cosmetic, implant and pediatric. He also offers his patients conscious sedation dentistry which enables them to completely relax during their dental appointments . Dr. Festa is also a member of the American Academy of Dental Sleep Medicine and screens all his patients for Sleep Apnea, a life threatening disease. Treatment options and home sleep tests are also available. A life-long learner, Dr. Festa, is committed to professional development and continues to educate himself so that his patients receive the best treatment possible. As an avid photographer, Dr. Festa's keen eye for detail is evident in the quality of his dental work. His attention to detail is enhanced by utilizing 3x magnification loops. "I am proud to have served patients in our community. Through continuing education and state-of-the-art equipment, we are able to offer you and your family the high level of care you’re looking for. My staff and I will give you a warm welcome and our ongoing commitment to your dental health. "